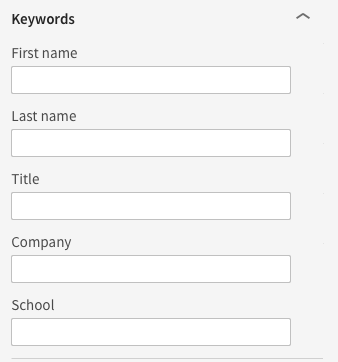 Are Keywords Still Important in a LinkedIn Profile? 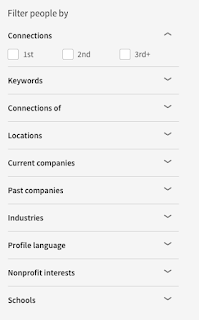 I received this question from a colleague who was wondering, since LinkedIn has changed its search functions with the 2017 update ("the new desktop experience"), relegating many of the higher-level search functions to paid accounts. With the vast majority of LinkedIn users still using the Free level, the question was: Are keywords still important in a LinkedIn profile? Let's take a closer look at where keywords can be helpful. 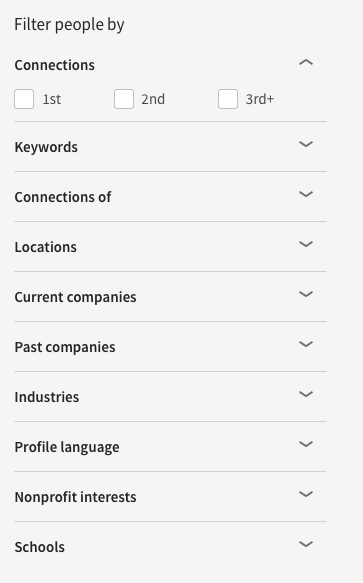 Industry is still included as a field in the search filters -- even on Free level -- so it's helpful for SEO there (with the idea that the ultimate purpose of SEO is to be found). 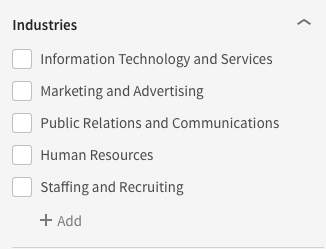 Although note that the "default" search categories are limited to fields similar to your own unless you type in an industry category ("+Add"). "More keywords aren't always better. Our advice would be to avoid overfilling your profile with keywords and only include the keywords that best reflect your expertise and experience. If you integrate an extended list of keywords into your profile, it's likely that your profile will be filtered out by our spam detection algorithms, which will negatively impact your rank in search results." Quality over quantity. "More keywords aren't always better." Like with the ATS, the keywords have to be in the content in order to appear in search results. But the best strategy for jobseekers remains to use LinkedIn to build their networks (and increase their visibility through LinkedIn Publishing and liking and commenting on content -- since this appears on your LinkedIn profile page) and keeping in contact with their LinkedIn connections. So, in lengthy summary -- I wouldn't advise any change in strategy for content based on the new desktop experience. Ask any new resume writer what's their biggest question and the answer is likely to be related to pricing their services. The most common question I get is: How much should I charge? You want to make sure you charge enough to be profitable, but you don't want to charge so much that clients can't afford to work with you. You’ve got the competition to consider, your own skill set, what you perceive to be your skills (yes, this is different from the former for most of us), what your market will pay, your location (not as big of a factor as it was 10 years ago, but still relevant), and a host of other variables. Working it out can feel like a hurdle you can’t quite get past. One simple calculation is to determine an hourly rate. The first step is to take a look at your estimated expenses. Remember to include your marketing expenses, supplies, rent, utilities, etc. Add your estimated expenses to what you want to make in income. For example, if you want to earn $100,000 a year in your business and you estimate $20,000 in annual expenses, then your income target will be $120,000. If you have 25 hours available for billing each week, then multiply that by 50 to give you 1,250 billable hours each year. Also consider how much non-billable time you need to spend on your business. (If you're having a hard time estimating billable vs. non-billable time, keep track for a week and then extrapolate it.) You can make adjustments to your plan as you go along, and you can consider outsourcing some of your non-billable tasks as your profits increase. Business owners charging for their services use several different methods. You might bill by the hour or by the project (but the quote is often based on the anticipated number of hours the project will take, multiplied by the hourly rate). Your Competition. This might take a little detective work, since a lot of resume writers don’t publish their rates online. But if you pay attention to their websites and social media, ask a few discreet questions, and get on their mailing list, you can figure it out. You can also take a look at statistics from the resume writing industry as a whole. 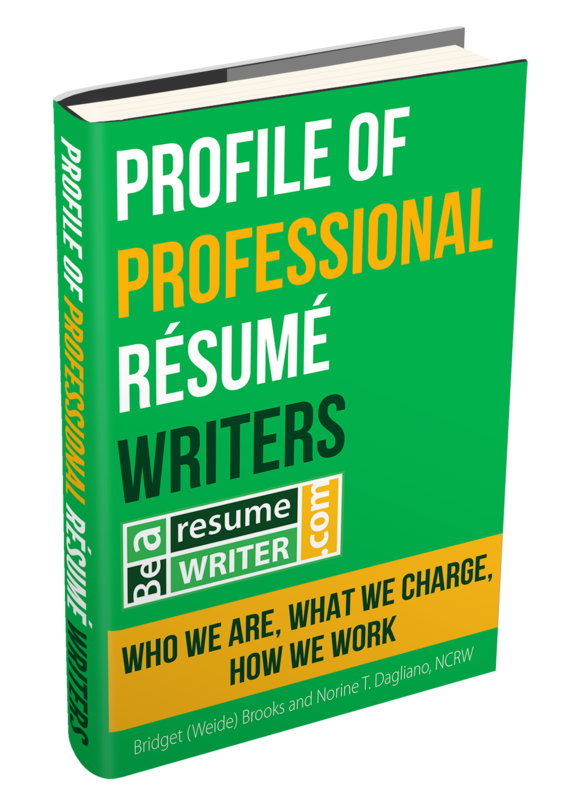 Career industry professionals -- sign up here to receive the current edition of the "Profile of Professional Resume Writers: Who We Are, What We Charge, How We Work." Your Skills. In some fields, this is easy. There are certifications and educational programs that allow you — by virtue of having achieved them — to charge a certain rate. If you’ve followed this path, then pricing will be easy for you. If not, take a solid look at what you can legitimately claim as a skill. Look, too, at your track record. Have you proven yourself by helping former clients (and do you have the testimonials and case studies to show for it)? If you do, consider a higher price range than you might have first thought. Your Market. In the game of setting rates, it’s your market that has the final say. As any first year economy student can tell you, the price of anything lies where what the buyer is willing to pay meets what the seller is willing to accept. If your goal is to give new college graduates a helping hand and lead them down the path to success, that unfortunately means you can look forward to low paying gigs (unless their parents are paying for your services!). That’s not a bad thing — everyone needs help in a job search — but it does need to be acknowledged. If, on the other hand, your target market is executives, then a higher fee isn’t just warranted — it’s a must. They will expect a higher price, and will not find value in the lowest-cost provider of anything, whether it’s coffee beans or business coaching. 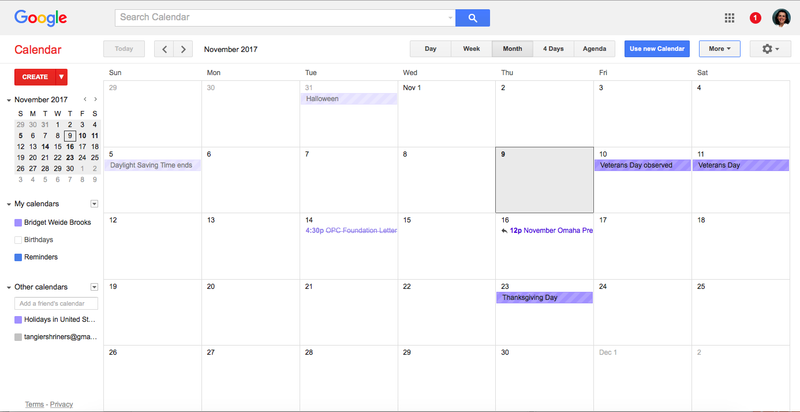 If you're a careers industry professional who hosts a lot of events or wants to create a resource for jobseekers, a Google calendar can be a good way to organize the information. But how do you display the information onto your website so other people can access it? The answer is to embed the Google calendar on your website -- using iframe code. First, log into your Google account and create your calendar. Then, go to "Settings" under the gear on the top righthand side of the page. Click the blue "Calendars" tab. 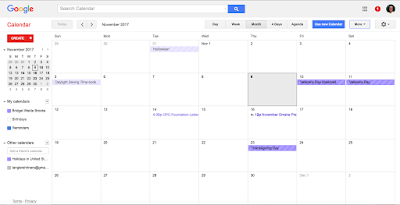 Click the calendar you want to work on (listed on the left) -- you may have one calendar, or multiple calendars associated with that Google account. Next to "Calendar Address," click the blue "HTML" button. Click the blue "Configuration Tool" button in the popup. On the next screen, under "Calendars to Display" (on the left), check the boxes for all the calendars you want to display. (As I mentioned, you can display a single calendar or multiple calendars all on one page). Next, on the top of that page, click "Update HTML." Copy-and-paste that code to embed the calendar. Resume Writers: Overwhelmed? Start Here. One of the questions I get most often from my resume writing colleagues is how to manage multiple clients/projects simultaneously. 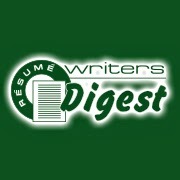 The Resume Writers' Digest Annual Industry Survey reveals that most resume writers take on two new projects each week -- but that doesn't take into account the projects from previous weeks that are in various stages of being finalized, or resume or LinkedIn updates from previous clients -- not to mention the marketing and business development projects you're likely working on. The best way to manage anything is to create a system. When you systemize all the processes that need to be completed, you’ll feel yourself up to be even more creative. Some people balk at the idea of systemizing anything creative but the truth is, it’ll make a huge impact on your work if you do. Use a Project Management System. While most resume writers use a simple Excel spreadsheet, you can also consider using a specialized system like Asana.com or Basecamp.com to help you get and keep everything organized. Or use a system like Honor Services. Once you set up a system, you’ll find that you can get far more done in less time. Put It in Your Calendar. Most project management systems can do this for you, but if you want to, you can use Google Calendar as your project management system. Organize everything you need to do and then make it into a to-do list for each workday. One Thing at a Time. It’s important to set up your schedule so that you’re doing one thing at a time in the right order. 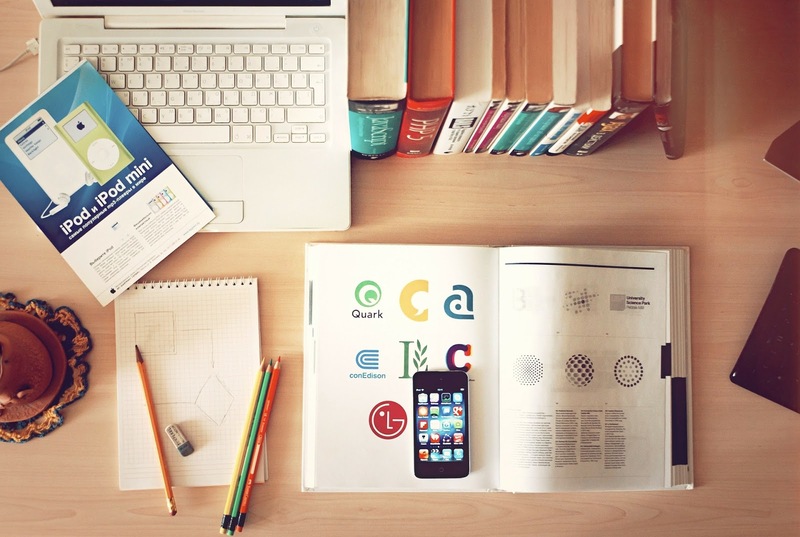 For example, if you're working on writing a career services book, you can order a graphic from your graphic designer for your book cover before you’ve finished the book, so that it’s done when you need it. Manage Your Resources. Resources involve human, financial, and technical assets that you have and can use to help you create amazing content for your audience. The better you use what you have at your fingertips, the more successful your creative process will become. Remember Your Goals. Everything you do starts with a goal. If not, then you need to go back to the beginning and create goals for each thing you want to create. Whether it’s a video or a text blog post, you need to have a goal in mind for it. Be Prepared. Everything starts with preparation. You can’t be creative if you have distractions. When it’s time to sit down and get work done, turn off distractions. Shut off your TV and social media. If you work from home -- and most resume writers do!! -- talk to your family and tell them how much time you need uninterrupted. Analyze the Results. Like most things, just doing it doesn’t let you know if you’ve been successful. You need to look at the metrics to find out if you need to make changes or adjust anything within your process to ensure better results. Some things to track: How many new clients you are working with each week (and the revenue from each). How long it takes you to write each resume. How long the "client management" part of the resume process takes. You can’t sit around and wait for inspiration to hit you. Each day when you get started working, it will help to know what you need to do that day. When you work on things this way, you’ll experience far more success than you would if you had no plan of action to follow. Good golly, it's been a while since I wrote a blog post. But having seen the devastation of Hurricane Harvey, reading the Facebook posts of resume writing colleagues evacuating Florida ahead of Hurrican Irma, and having recently faced the untimely death of my "twin" brother, Sean, I am compelled to write a quick blog post about disaster planning. The current wildfires in the northwest and the hurricanes and resultant flooding may be bringing your attention to the need for disaster planning, but even simple personal situations can trigger a huge problem. It pays to be prepared. Review your insurance coverage at least once a year. If you don't have a separate business policy to cover your career services work, consider it. Mine costs about $350/year and includes business interruption coverage. In the event of a major disaster (most likely a tornado or house fire in my area -- hurricanes aren't really a thing in Nebraska), it will replace some of my lost income. Ensure you also have business insurance for your equipment -- your computers, for example. Your personal policy may not cover your business laptop. To speed up your claim processing in the event of a disaster, make sure you have an inventory (up to date!!) of your home and office. Your insurance agent will need a list of all your possessions -- including purchase dates and serial numbers. Could you provide that at a moment's notice? If not, take the time to AT LEAST take photos of your stuff. When you do create an inventory (even a simple one to start), email it to yourself so you'll have online access to it. (Or email it to a friend.) And then keep it updated! The most LIKELY disaster you'll encounter is a small one -- a loss of power while you're putting the finishing touches on a resume, or someone steals your laptop. Ugh! In both of these situations, you'll be kicking yourself if you don't have a backup. Subscribe to an online service that offers automatic backup capabilities. And do a REGULAR (monthly?) backup to physical media (thumb drive, CD/DVD, hard drive) and keep it OFFSITE. If your basement floods and your home office is down there, it won't do you any good if your thumb drive is in your desk drawer. Have a will. Please, if you don't have one -- get one. Sean died without a will. It took almost two months and a court order to have me designated as his personal representative. We couldn't clean out his apartment until we got that (that was specific to his specific apartment's management policy), but what a mess. Even a basic will in the meantime is better than nothing at all, so consider an online service like LegalZoom or US Legal Forms. If you're in the path of the wildfires or hurricanes or other natural disaster, stay safe. If you're not, take a few moments to address these four issues so the next time a disaster heads your way, you're ready. You are capable of doing amazing things, of achieving all of your hopes, dreams and goals and living the life you want to live. You were born with this ability. So what happened? Life happened. Along the way, you picked up a few limiting beliefs, behaviors and some negative thoughts. It happens to everyone. The good news is, there's something you can do about it. Here are a few tips and suggestions to begin to unlock your potential. Step One. Recognize negative thoughts. We all have negative thoughts. We think things like, "I'm bad with money," or "I'm just no good at ___" all the time. We do it automatically, without thinking. So, the first step is to begin to filter these negative thoughts. Start to recognize them. When you do recognize them, change them to be positive thoughts. For example, "I'm good with money," or "I am good at ___." If that feels to forced, then consider letting the negative thoughts go. For example, you can say to yourself, "I have had some trouble with money in the past, but I'm looking forward now and I am good with money now." This strategy enables you to let go of your past mistakes — and believe me, everyone has made mistakes — and to positively focus on the future and what you're capable of. Step Two. Assess your strengths. Have you ever noticed that if you receive 10 compliments in one day and one criticism, you focus on the criticism? It's our nature to focus on the negative and the areas where we're not so strong. However, focusing on our strengths is much more productive — and, quite honestly, your strengths are where you're going to achieve your success. So let those weaknesses go, ignore the criticism, and be proud of who you are. Step Three. Be grateful. You may have heard this one too many times — however, gratitude really is a tremendous success tool. When you're grateful for what you have and for the mistakes and lessons you learn, then you're 100 times more powerful. Gratitude not only helps you take a positive approach to almost everything you do, it affects how people respond to you. They'll be significantly more likely to help you, to want to work with you, or to buy from you if you radiate a positive and grateful glow. Step Four. Visualize what you want. Don't be afraid to ask for what you want and to visualize success right down to the nitty gritty details. Visualization is a powerful process used by the most successful business owners in the world, by athletes, and by spiritual leaders everywhere. Visualization helps your mind and body perform as if you've already succeeded. Step Five. Let go. Let go of limiting beliefs, or the idea that you can't do something, that success isn't possible, or that you're just not cut out for it. When a limiting belief comes up, for example, the rich get richer, is a limiting belief if you're not already what you would consider rich, right? Explore why you have that belief, and if you really believe it to be true. If you don't, let it go, it's holding you back from achieving the success you desire. When you're able to clear away negative thoughts and limiting beliefs and embrace your strengths and your ability to visualize and accomplish your goals, nothing can stop you. You really are capable of achieving anything you set your heart and mind to. Want to Share Your Knowledge With Other Resume Writers? The National Résumé Writer’s Association is accepting speaking proposals focusing on best practices and trends in the résumé writing industry for its 20th anniversary conference. Presenting at the conference is a great way to showcase your expertise and your business and generate interest in your services among potential partners and clients. The NRWA is the only nonprofit, member-driven resume writers’ organization in the world. The mission of The NRWA is to increase the visibility of the industry, encourage ethical practices, promote excellence, and raise industry standards through peer marketing and training. The NRWA’s Certification Commission awards the highly sought-after Nationally Certified Resume Writer (NCRW) credential to résumé writers who demonstrate basic résumé knowledge, writing, and strategy. Just announced, the Reach Personal Branding certifications will now be under the auspices of Career Thought Leaders. CTL already offers its own certification, the Academy Certified Resume Writer (ACRW) and took on the administration of the Master Resume Writer (MRW) and Credentialed Career Manager (CCM) after the dissolution of the Career Management Alliance. The Reach Personal Branding process was developed by William Arruda. As part of the transition, Arruda -- as well as Reach collaborators Deb Dib and Susan Chritton -- will present a series of webinars to introduce CTL members to the personal branding process. The first webinar will be held on Wednesday, Feb. 8 with Arruda presenting. In addition, Reach certified professionals will be invited to attend the CTL conference in Baltimore in April. Because of this, CTL has extended the early registration discount until Feb. 15. Marie Zimenoff, CEO and owner of CTL says, "The CTL Board and I are excited about this transition and the richness personal branding can bring to your practice – from graduating students differentiating themselves in the marketplace to executives building a distinctive leadership brand." 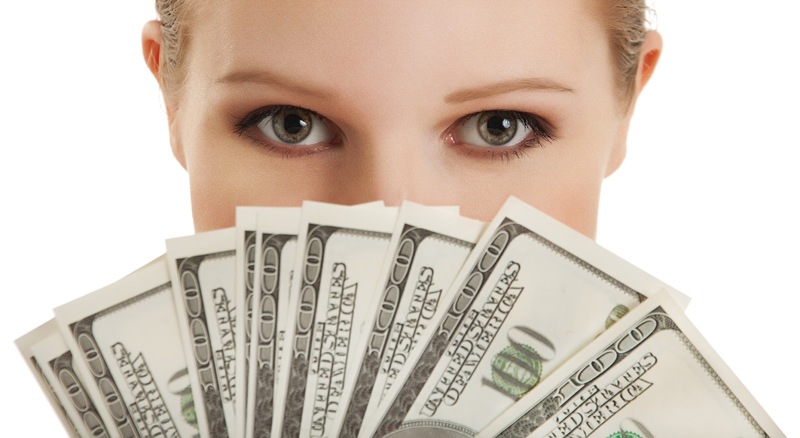 What is a "Fair" Referral Fee for Resume Writers? 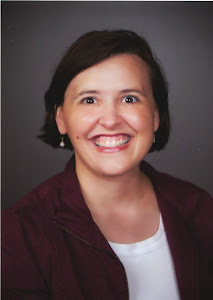 I got a couple of questions from a resume writing colleague today about referral fees, and I wanted to share my answers in today's blog post. Referral fees are negotiable. 15% is the most common referral fee, but I've seen anywhere from 10-25%. One thing to consider when you're deciding what percentage to pay as a referral commission for being sent prospects from a colleague is: What is the QUALITY of the referral? If someone sends a client to you who is pre-qualified and pre-sold (meaning they're a good fit for you and they're ready to buy from you based on what the referring person said), that's worth it. There's a mathematical way to figure this out, for the most part. You can add up what you're spending (in money and time) each month, and divide it by the number of clients you secure yourself. For example, you might spend 1 hour/week on marketing and $100 on your marketing (website, paid ads, etc.). Let's say you value your time at $75/hour. So that's $75 x 4 = $300/month (time) + $100/month (hard costs) = $400. Let's say you secure 6 new clients/month. So divide $400/6 = $66 (cost to acquire one client). Let's say that referral partner sends you a client that pays $500/project. Your 20% referral fee would be $100. But remember, unlike your own marketing costs, you only incur this "marketing expense" if you secure the client. With your other marketing costs, you spend $400/month and might get 0 clients out of it. (Or, things might go really well, and you get 10 clients out of it!). But the advantage with referral commissions is you only pay them when you're making money (the other 80%). 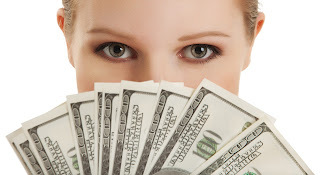 * Are referral fees always required or mandatory? For instance, I offered a referral to a resume writer once for a client that I was not able to take due to other deadlines. However, I did not charge a referral fee upon the client retaining her service. No, referral fees are not always required or mandatory. As the referring person, you can always request a referral fee, but it's not mandatory. HOWEVER, thinking of that resume writer, wouldn't you be MORE likely to send clients their way if they HAD sent you a 15% referral commission (even if you hadn't asked for it?) Or even some kind of thank you? * Are referral fees based on certain factors, or more on the negotiation or agreement between two career professionals what is suitable? Just like with subcontractor fees, I believe that the more "work" one party does, the higher the compensation should be. For example, subcontract writers who have direct client contact (including conducting intake interviews) should make more than subcontract writers without client contact (and who work from questionnaires). However, because there is no standard in the industry, this isn't always equivalent. The reason why I generally think referral fees should be 20% and under is that now you're getting into the "subcontract" rates territory. When you'd pay 20% to another writer to create the actual content for the client (again, subcontract fees are generally 20-35%), I think that's the top level. But I have seen some writers who offer 25% referral fees. In the affiliate marketing world, referral commissions can be up to 75%, but usually these are for set programs (webinars, courses, group programs), not custom services. I’ve decided to go back to hosting webinars as part of my marketing tool box and have been researching various companies. I found one -- Zoom -- that seems to fit my needs for about $55 a month which is about ½ of what I paid for Go To Webinar. However, I’ve spoken to the folks at join.me a couple of times and would like to work with them because of price and just because they are so nice. My problem is that, as you know, they don’t offer registration. There is no built-in registration. I use a third-party registration option to handle that (EventBrite is a great option). It doesn't track who attended versus who didn't, so you can't do follow-up marketing based on who actually was on the call or not. I like EventBrite because it's free if you don't charge for your webinar. If you're using your webinar for marketing, you're probably not charging for it, and EventBrite is great for this. If you offer a paid program, EventBrite is still a great, affordable option. You can use EventBrite's built-in payment processor or your own PayPal or Authorize.net payment processing. The EventBrite cost for paid events is 2.5% of the ticket cost plus $.99 (up to $19.95/ticket) if you use your own payment processing. Add 3% if you use EventBrite's payment processing. I find it's about 5-10% effectively. (That is, if you sell a webinar for $59, your takehome would be between $54.76 (EventBrite: 2.5% is $1.48 plus $.99 = $2.47 plus 3% EventBrite fee = $1.77 = $4.24) and $56.63 (EventBrite: 2.5% is $1.48 plus $.99 = $2.47, plus separate PayPal or Authorize.net fees). With the example given, that's between 4-7% net. I love the word "catastrophize." It's hard to spell and it's hard to say ... but it's a perfect word to describe what happens when you let problems eat away at you. 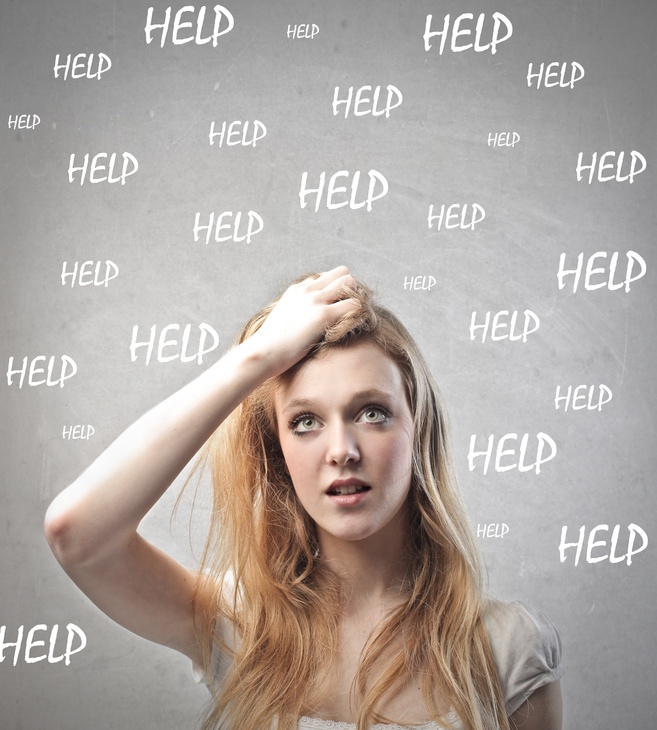 When something goes wrong in your business, do you spend hours worrying and fretting over it? Do you re-play the problem and imagine all the ways that it could get worse? Do you slip into self-pity and find yourself asking why this is happening? You may not know that's what it's called: catastrophizing. Catastrophizing makes a small problem look much worse than it actually is. If you let it, catastrophizing can completely drain your energy and time. An example of catastrophizing would be your computer has a minor hiccup. Maybe a document crashes and you discover the file is corrupted. Immediately, you think something horrible has happened to your word processing software and all your Word files will be unreadable. That client draft that you're in the middle of finishing? Gone. All the resumes you wrote over the past 3 years? Done for. Well, that's it for your business. Wish I had backed it up. While it’s understandable to get upset when you face a business setback or new problem, this type of thinking isn’t productive. That’s because you’re focused on the problem and not the solution. Imagine the above scenario does in fact happen to you. You can open another file and discover that it was just that one file. And, in fact, while that file was corrupted, Word saved a temporary version that you're able to work from. It doesn't have your latest changes, and the formatting is off, but at least you don't have to start from scratch. And, now that you can breathe again, you go ahead and backup your computer so you don't have to worry about losing ALL your work. You can fret over it all day or you can say to yourself, “Whew, that was a close one. I'm going to make sure I stick to a backup schedule from now on!" The first response makes you feel like a powerless victim. But the second one allows you to look at what you can do. It keeps you productive and focused. With that focus, you recognize that you can handle this problem without losing a lot of time and money. "How much does a resume cost?" As a resume writer for more than 20 years now, this is a question I'm asked quite often. Back in the days when most resume inquiries originated from a phone call in response to my Yellow Pages ad, "How much does it cost for a resume?" was often the first question I was asked! The main reason for that question is because jobseekers will find rates anywhere from $5 (on Fiverr.com) to more than $5,000+ (from some of my excellent colleagues) for resume writing services. Friends who know I'm a resume writer ask me, "What's the difference?" and "How do I choose?" Because the vast majority of resume writers are self-employed, we set our own prices. There's no requirement for certification as a resume writer (and, in fact, there are dozens of certifications offered within the resume writing industry), and no specific training or qualifications to hang out a shingle as a resume writing professional. I get questions from resume writing colleagues about pricing all the time -- they wonder how much they should be charging too! According to my research -- in the Resume Writers' Digest Annual Industry Survey -- the "average" cost for a resume and cover letter is right around $500. So why are some resume writing "mills" only charging $149 for a resume and cover letter -- and why do some top industry pros charge $5,000? Volume. Aligning with the level of personal service is the volume of clients that an individual resume writer can work with. If you're conducting in-depth personal consultations or lengthy personalized questionnaires and spending 10+ hours on the writing of the resume, you BETTER be charging more than $500 for your services. Otherwise, you'd be better off getting a job at McDonalds because you're probably making close to minimum wage anyway! Experience/credentials. 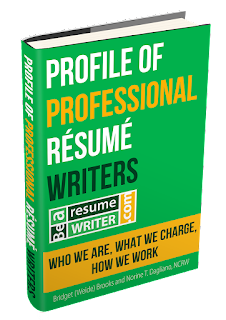 Although no certification or experience is required, resume writers who have one -- or both -- generally charge more. Many of the larger resume writing firms (mills) have a minimum requirement for their writers -- an "easy" certification like the CPRW (which requires a single test and no ongoing continuing education) is often the bar for application. In contrast, the cost to obtain an ACRW (Academy Certified Resume Writer) certification is $1895, plus five weeks of training and portfolio development. Choosing a resume writer who invests in her OWN career development is a good idea -- and is likely going to be at a higher price point. Resume only versus a one-stop shop. 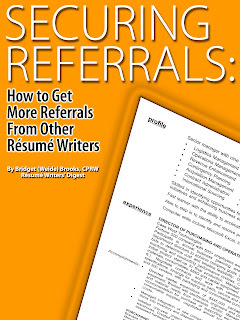 Resume writing professionals who provide a "single source" approach for jobseekers tend to charge more than individuals who only write resumes. Some career industry colleagues provide career assessments/testing, personal brand development, the full spectrum of writing services (not just resumes and cover letters, but bios, CVs, thank you letters, networking letters, etc.) plus LinkedIn profile development, and into coaching services -- interview coaching, salary negotiation coaching, career change strategy development, and more. Because they tend to have a deeper well of knowledge, information, and resources, they tend to charge more even just for the resume writing piece of it, if that's all you need. What do you need? Do you need JUST the resume and cover letter, or are you looking for someone who can help you navigate the job search process? How do you prefer to work? Do you want to have a high level of hand-holding, or are you comfortable working with your resume writer virtually (email/questionnaires)? How complex is your career? 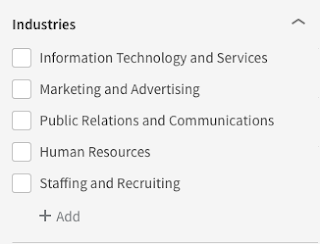 Someone just coming out of college is an easy project for most resume writers -- mid-level professionals and early executives need someone with more experience -- and I'd ONLY recommend someone who works with federal resumes if you're looking for a government job. That final question is important. The other question jobseekers need to ask themselves is: "How much do I want to invest in my career?" Going back to that car analogy, what do you need? What do you want? In general, you should spend 1-3% of your annual salary on your career development. According to the Census Bureau, the median household income in America (across all jobs) was $51,939 (as of September 2014*). Using the 1 to 3% figure, that would mean spending between $519 and $1557 on career development annually. Now, that could include more than just a resume/cover letter -- that can include continuing education/training, career-related clothing and personal items, and even something like a subscription to LinkedIn Premium membership. But if that $52,000 was a single jobseeker (let's say a single parent), the $519 amount is right in line with that "average" fee for a resume and cover letter that I mentioned before. The average monthly new vehicle lease payment in the U.S. in 2015 was $412/month***. You'd spend $400 each MONTH to drive something that gets you where you want to go -- why not spend a couple hundred dollars more for a document that can drive your CAREER where you want it to go? So instead of asking "How much does a resume cost?" jobseekers should probably instead be asking themselves, "How much do I want to make?" and what is the cost of NOT investing in their job search, and their career path.